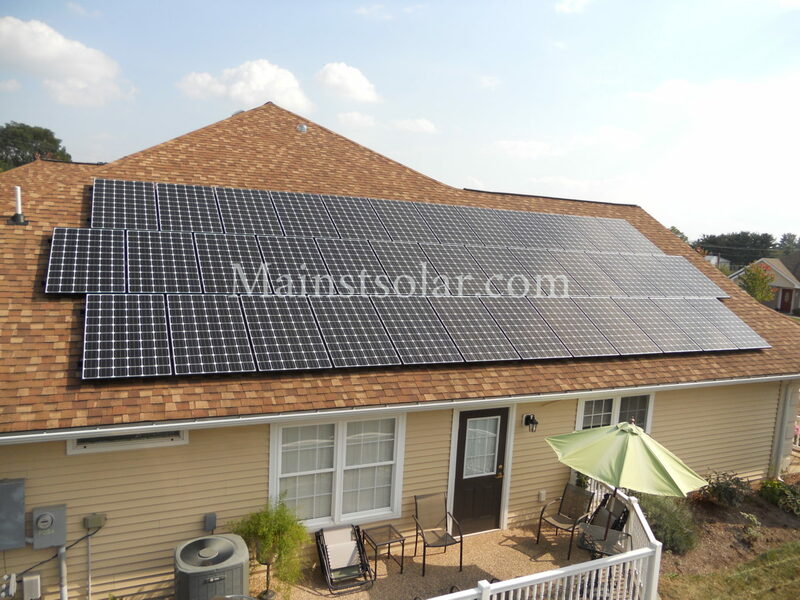 One of the most popular pages on our website is our Home Solar Photo Gallery. Apparently, our online visitors like to see the work we’ve done on homes around Virginia. If a picture is worth a thousand words, then a collection of solar installations at homes from Blacksburg and Roanoke to Lynchburg and the Shenandoah Valley will speak volumes about solar power in Virginia. You may be surprised to see options that you never imagined before. 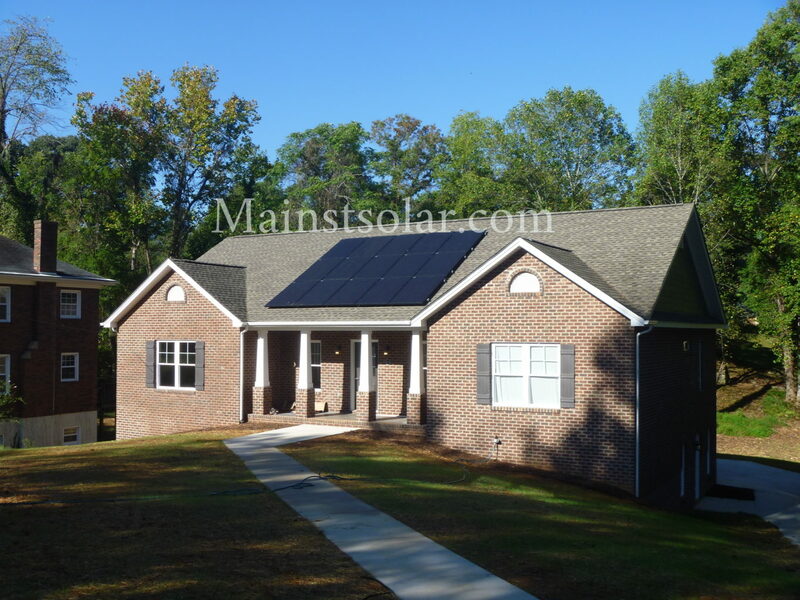 So, for your viewing pleasure, here we offer a mini-gallery of ten of our favorite solar home installation photos. Put together, the images may help homeowners visualize new way that their unique properties can be enhanced by solar power. The mountains of Virginia provide some of the most striking views on earth. 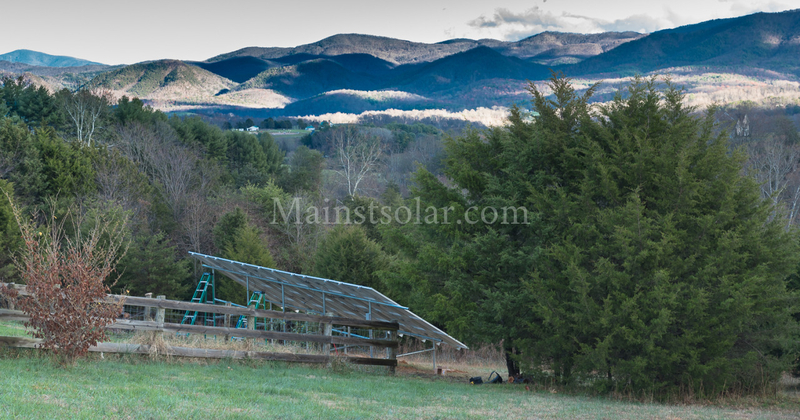 This ground-mounted solar array near Lexington, Virginia, well placed and properly proportioned, just adds to the value of a million-dollar view. With winter on its way, we couldn’t resist this shot of a ground-mounted array in the snow in Boones Mill, Virginia. The average snowfall will quickly melt off of solar panels soon after the sun comes up, leaving them ready to keep generating power. Farms are some of the best places for solar panels, like this one near the town of Stewart, Virginia. Solar can go on the roof if there’s space. Otherwise, solar works perfectly out in a field with crops and cows alike. As homes that are also businesses, farms can get extra financial benefits from going solar. Sometimes the best roof at your place might be on your garage, as on this garage in Bassett, Virginia. And with garages getting bigger and bigger these days, more roof can more space for solar — even enough to power most of your home. The roof might not be the first place that most homeowners look for architectural beauty. But solar panels can turn an ordinary roof into a work of art, as with this roof in Windy Gap, Virginia. And real estate agents know that solar increases curb appeal when you’re ready to sell. The Old Dominion is blessed with many gorgeous historic homes like this one in Lynchburg, Virginia. Fortunately, solar panels can look as good on the roof of a Victorian home from the 19th century as they do on a ranch house built last year. In competitive rental markets, forward-thinking property managers know that solar can help fill apartments and condos in multi-unit buildings with good tenants and buyers. This one’s in Blacksburg, Virginia, the home of Virginia Tech. You can put solar almost anywhere these days if you’re creative. 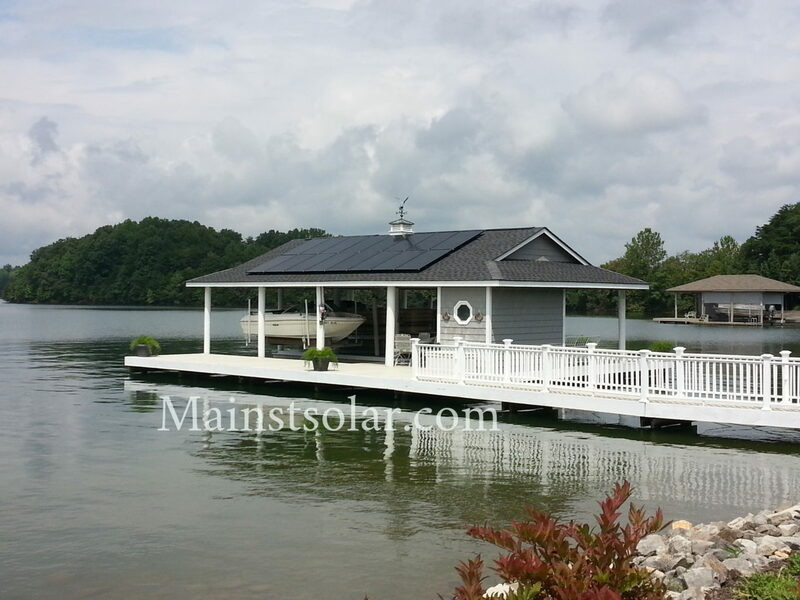 If you’ve got a house at the lake, why not put solar on the dock? Just check out this one at Smith Mountain Lake, Virginia. It’s easy to see and sends a powerful message to the neighbors: you should go solar too. People are fascinated with the process of installing solar panels. This view from the roof of a home in Hardy, Virginia, shows the racking that will hold the panels in place for decades to come. Modern racking is gentle on your roof while strong enough to keep solar panels snug through wind, rain and snow. For homesteaders who want to be more independent and are already fans of rain barrels and drying clothes outside, solar helps them take more control of their energy, as at this house in Lynchburg, Virginia. And for homesteaders who care about the environment, solar is clean energy that’s practical and increasingly affordable. 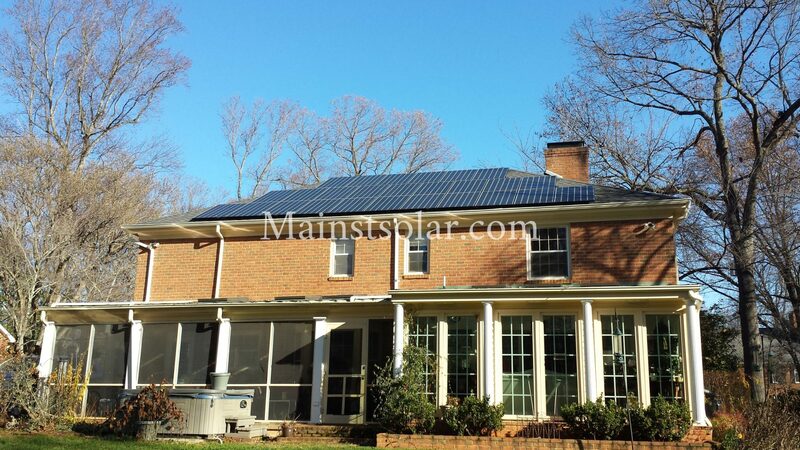 We hope you’ve enjoyed these shots of our home solar installations in Virginia. This is just a small sample of the gorgeous images you’ll find in our Home Solar Photo Gallery. Andrew Brenner is the owner of Main Street Solar. Every month, get advice to help you get the best value in solar power for your home.